Click on the e-book image to find out more information about it. Purchases can be made by clicking on the "Add to Cart" button below each book - this will open up the shopping cart, select "Check out with Paypal" - you will then have the option of paying with either a Paypal Account, or credit card. Cannot see where to buy. I WANT the book!!!! It looks lovely. Oh thank you, Helen, this looks wonderful! I have been looking at one of your patterns from 2012 and didn't have a clue where the starting point would be. I am just printing out your ebook now, and I'm very excited about it. Your directions are very clear, and I'm so happy to have found your book! OMGosh! Just downloaded the ebook, this opens up a whole new world to me, THANK YOU! Just purchased your e-book and it is wonderful! Also have been watching your videos and I want to thank you for the inspiration and for sharing you talent with the world! I certainly do admire your work! I will be purchasing your book in a couple of months. In the mean time I am working my way through the pattern folio. I will never achieve your level but am having a lot of fun trying! Thank you so much for sharing your talent with us. So excited to have just ordered and downloaded your E-book! I LOVE your Tangles! I have been doing tangles for several years but I have always thought your tangles are the most unique ones that I have seen. They are just so delicate and special looking. Can't wait to start on them. Going to have the book printed out at my Office supply store and have it wire bound. 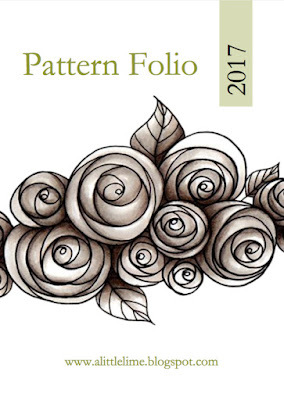 This is going to be a great addition to my Zentangle books that I have been collecting. Thanks again for offering this wonderful book! Cheers! I just purchased your e-book and it will not download...help!!!! Hi! Do you feel that this ebook would be good for beginners? I literally just discovered this art form about 2 weeks ago and was amazed at the amount of info to be found on the internet! I have no idea how I've missed this before now :) I have tried 2 small tangles, and i'm not overly thrilled with the results. Hopefully I will get better with practice. Hi Deb, thanks for your interest! Did you check out the video - that is probably the best way for you to judge whether it will suit you as it really depends what you're interested in learning. I think that the various chapters are broken down in to easy to manage steps, but keep in mind that the book is not focussed on tangles, it is more about techniques and line work. Oh, exciting! I hope you have fun with it! Hi Helen, got your e-book today. Your instructions are really easy to follow amd your explanations make so much sense. I'm glad I found you, and thanks for writing the book! I don't know how i found your page; but i hope i never lose it. There are no words to describe your amazing talent! You should be having your own showing in a gallery! You are absolutely fantastic! Sorry, can't figure how to put my name, Lynda, to this, but just had to comment! You have done an amazing job with this gorgeous ebook. It communicates to me a lot of love to art and human by you and it`s made very professionell. 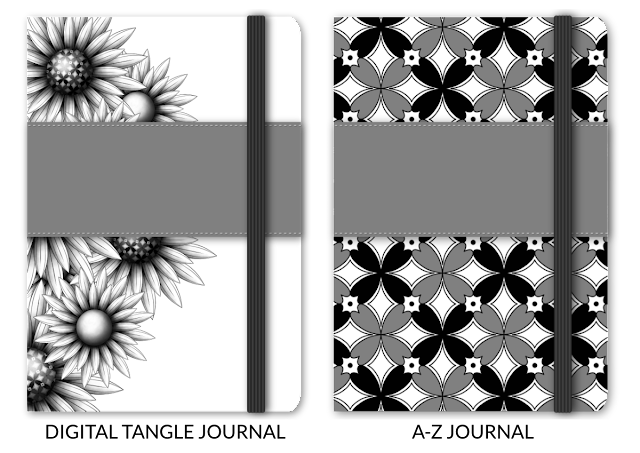 Thanks for sharing, I love your book and pattern folio! Thanks for purchasing my e-book, Tracy :) I hope you have a lot of fun with it! 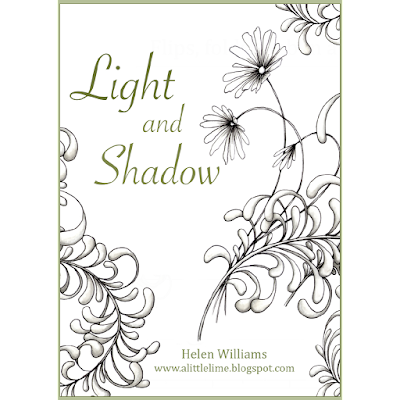 Absolutely AWESOME e-book Helen! Thank you so much! Your expertise and technique are just what I needed to help me become more fluid. Your videos are terrific! This is a must have e-book! As I like your drawings very much I purchased your ebooks last week. 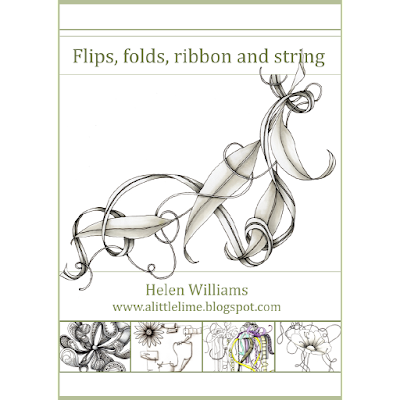 Now I'm still looking forward to receiving the pattern folio to complete my helen willams "collection" (I inscribed a couple of minutes ago to the blog feed). Will you publish more ebooks in the future? Hi Marie, Thanks for purchasing my e-books - I hope you're having fun with them. If you've left me a message in the paypal notes regarding the pattern folio you should have received it - if not, just send me an email: alittlelime@gmail.com. I didn't get the folio, a mail will be leaving in a couple of minutes. Nice weekend to you! So I've just stalked you on your blog, Pinterest and Facebook, and you are my new best friend! I just purchased your ebooks and left a comment that I would like your 2014 Folio as well. Your art is fantastic and I intend to point my students in your direction (I am a CZT). Thanks for the new inspirations! Just purchased both e-books - downloaded perfectly! So excited, can't wait to dig into these. Thanks so much! 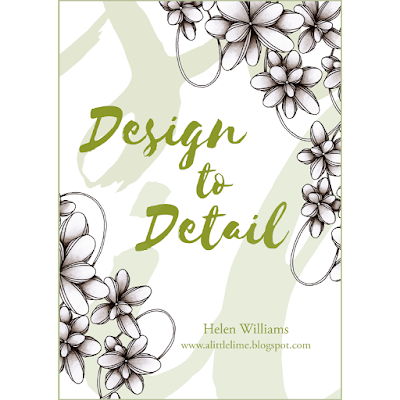 Hi Wiesia, Thanks for purchasing my e-books :) You are most welcome to quilt the designs/drawings for personal use. Hope you have fun with them. I just purchased your e-books ( thank you so much for the extra) and I am hooked on your "simple" tangles. I love, love, love your style and sense of balance, your tangles are alive and breathing....and in the same time so easy to understand and imitate. My life right now is very hectic and I can't find enough time to immerse myself in this art for wholehearted. So I am only a tourist in the wonderful world of Zentangles and tangles. For now I am only visiting, sightseeing , sometimes just looking with open mouth how much beauty can come from people's subconscious world when just left alone to practice tangles. Thank you for sharing your path and your knowledge. I'm looking forward one day to learn from your longtime experience of making hard developed quality of line look like cheerful zentangles. Thank you for such a lovely compliment, and for purchasing my e-books :) You are going to love your new hobby and hopefully will find enough time soon to be able to play to your hearts content! I love being able to share my work and it is wonderful to know that you are enjoying it. Your work is beautiful. Thanks for the inspiration. 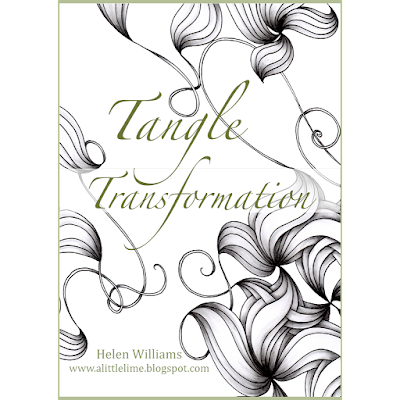 Fantastic e-book...Three Little Rules and Tangle Transformation!!! They are great!!! Thanks!! Have a great weekend!! Hi Helen. I love your work and was wondering whether I could purchase the Transformations and the Ribbons one and still get the Pattern Folio offer. I am looking forward to your response as I am eager to get started.Thanks. Thank you Ashlan, and Helen... that's the question I was going to ask! I would like to buy your books. Is a ebook necessary to read them or it is possible to open it via Acrobat Reader as well, because I like to print them on paper because I like the touch of paper instead looking on a screen?! Hi Nathalie. Thank you - you should automatically receive a download link email - it will go to your PayPal account email address. I hope you enjoy your books. The absolute master of Zentangle. I can spot your drawings on Pinterest the second I see them. I just found out you had these e-books. Do they download into an iPad? Your work is beautiful. Do you offer your eBooks in a bundle or must they be purchased separately? Thank you. I picked up all three and they are really beautiful! I saw your art in Pintrest, by accident. I was looking for something NEW to embroider. So I bought all your e-books...they look incredible. Helen, You are incredibly talented. I love your ebooks. I have to get your latest ebook. wow nice sharing its cool keep calm. Thanks for sharing.